I’m going to spell out the basic indisputable facts that everyone needs to know about the war in Syria. -The US has been meddling in Syria’s internal political affairs since the late 1940’s and created a manufactured insurrection that manifested in March 2011. -The US and their allies planned, prepared, and executed the war in Syria under the pretense of a humanitarian intervention. – The US, Saudi Arabia, Israel, NATO, EU, etc. are responsible for funding and arming hundreds of thousands of terrorists from over 80 different countries. -The real aim however behind their false claim of fighting terrorism was “regime change”. -When that mission failed, they resorted to arming Kurdish militias with an aim to divide and weaken war-torn Syria. -Now that Turkey is clearing out Kurdish militias on their border the US is put in an awkward position. Do they support their NATO ally or their Kurdish militia pawns? – The US will try to appease both. They will not hinder Turkey’s progress on their border. They will likely continue to support their Kurdish allies in the northeastern region, which is where the majority of their illegal bases are located. This area also happens to be the most oil and agriculturally rich part of the country. -The Syrian government has vowed to liberate every inch of Syria and expel Turkey, the US, as well as any and all uninvited foreign terrorists. -The Syrian people, government, and army have shown extraordinary resistance in the face of a war that was brought to their door. -Syria’s main allies include Russia, Iran, Hezb Allah. -Syria’s enemies underestimated the Axis of Resistance. -For over seven years now, Syria has been fighting a powerful battle on behalf of the world against terrorism, imperialism, and Zionism. -This war has cost hundreds of thousands of deaths, created millions of refugees, billions if not trillions in infrastructure destruction. -US and EU economic sanctions have hurt the most vulnerable members of society, those suffering from medical and health issues. Despite the hardships, the Syrian government is still providing free health care to civilians, even cancer patients receive free medicine and treatment. -Syrians are rebuilding their country, martyrs will forever be mourned and like a phoenix rising from the ashes, Syria will rise again. Syria is the cradle of civilizations and will continue to exist in its glory no matter what external forces try to destroy it. -A sincere thank you to everyone that has stood by the truth, countered the lies, exposed the perpetrators and called for them to be held responsible for their actions. You are on the right side of history. Your valuable contributions have helped counter the lies and propaganda. Never stop researching, sharing and standing up for the truth! This needed to be said Sarah. The Syrian conflict in a nutshell. Concise. Brilliant. Thank you. Thank you! I am glad you liked it. It’s a quick write up that I decided to do impromptu. I wonder do the Syrian people realise that the average American, vanadian, eu , uk citizen does not want war or regime change? Assad, as the “Savior of Syria” (not to be glib or corny), will be re-elected as president for as long as we wants the job. All this suffering and death inflicted on Syria was completely without purpose in the end, other than to make people suffer. The orchestrators of this ghoulish endeavor are the human embodiment of disease. Psychopaths all. Having gotten that ugliness out, Syria’s resurrection is a good Easter message. 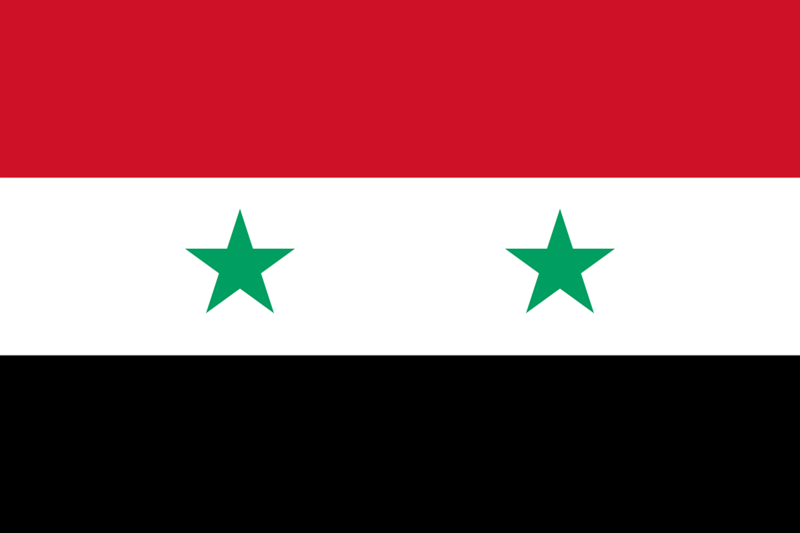 Syria is the only Arab country with a secular constitution and does not tolerate Islamic extremist movements (that’s why Syria is forced to fight Radical Islamic Extremists, the US’s so-called “moderate rebels” who ruthlessly kill Syrian men, women and children). On 19 June 2014, Bashar Jaafari, Syria’s permanent representative to the United Nations in New York, conducted a press conference in which he could explain the recently concluded presidential election, of 3 June 2014, to the representatives of the newsmedia and answer their questions. (see https://candobetter.net/SyriansVotedForPresidentBasharAlAssad/ – republished from http://www.globalresearch.ca/syrias-press-conference-the-united-nations-doesnt-want-you-to-see/5387795 – includes 53 minute embedded video of the press conference at: https://www.youtube.com/watch?v=ZnFQd4wBXnk). As even Israel’s Haaretz newspaper acknowledged, “Syria’s parliament speaker said Wednesday President Bashar Assad has been reelected by a landslide, capturing 88.7 percent of the vote” (https://www.haaretz.com/assad-wins-vote-in-a-landslide-1.5250725). Haaretz, whilst more factual than the rest of the corporate newsmedia, attempted to diminish the significance of the election. Other corporate media outlets were quite misleading (see articles listed in footnote 1 of the article linked to above,including https://www.washingtonpost.com/world/middle_east/syrian-election-sends-powerful-signal-of-assads-control/2014/06/03/16876fca-eb2a-11e3-b98c-72cef4a00499_story.html). Not one of the reporters, hostile to Syria, made the effort to challenge to Bahar Jaaafari’s narrative. Surely, if the elections were as rigged and controlled as those reporters claimed, why did not even one of them even attempt to show the world that Bashar Jaafari’s claims were false? Filmed by Dima Aboud in Spain. Roger Waters exposes NATO-member-state White Helmets as a multi million dollar funded propaganda construct for terrorist factions inside Syria. Watched and shared this on Facebook today. Love it! Thank you for sharing.